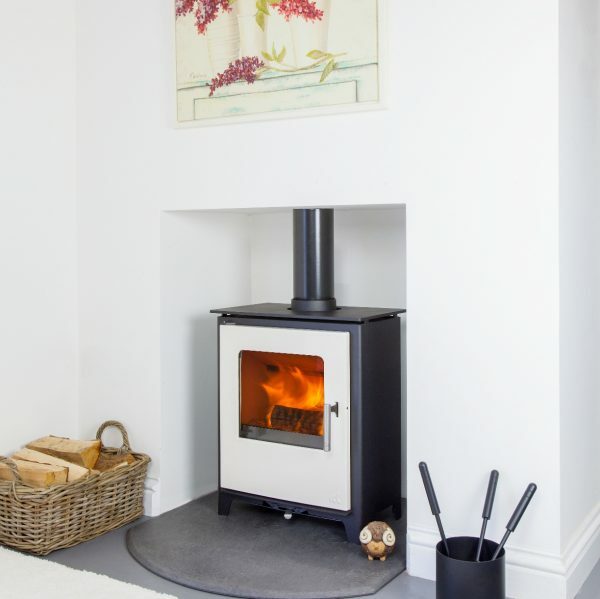 The Loxton cast iron door is coated in a beautiful ivory enamel finish, each door has three coats of enamel to build up a mirror like deep glossy shine, the door is finished with Milled stainless steel handle which closes with a re-assuring firmness, through the large ceramic glass is an efficient fire box designed to burn wood and smokeless coal. 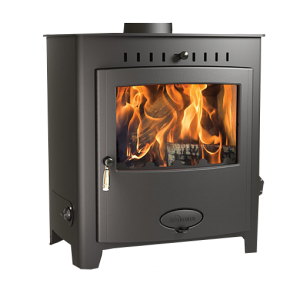 The easy to operate single air control makes adjustment simple and the latest three-flow clean burn air system allows for a more complete combustion. 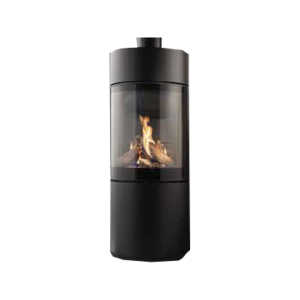 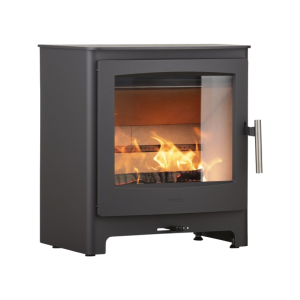 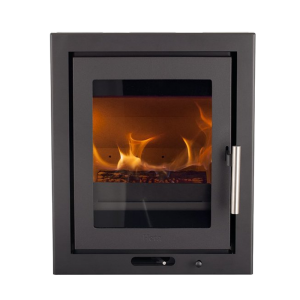 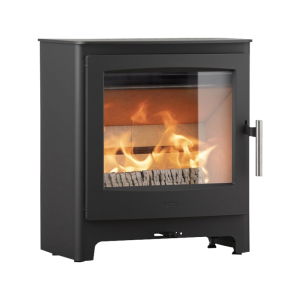 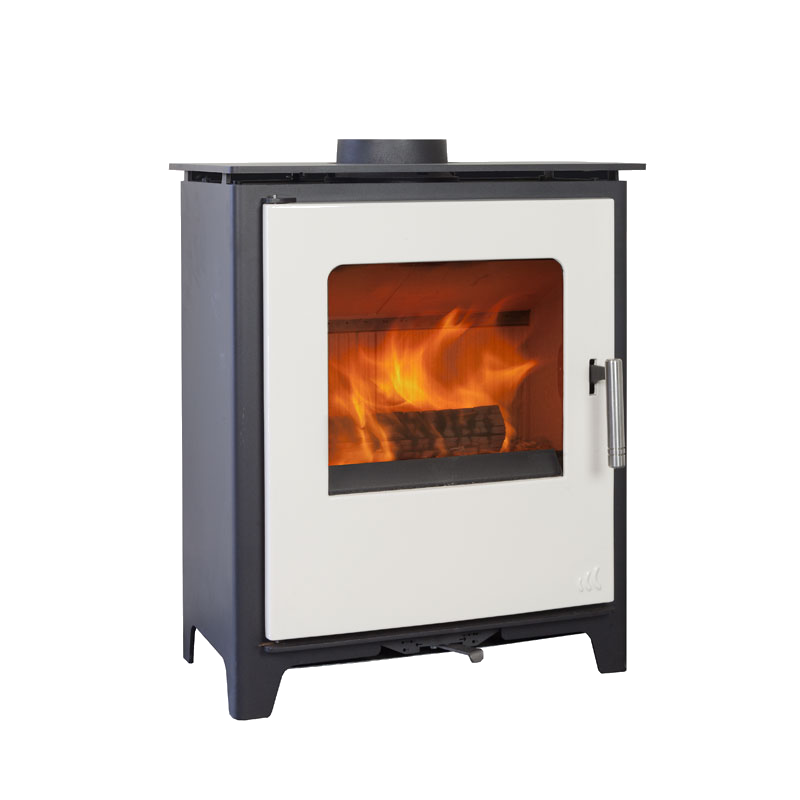 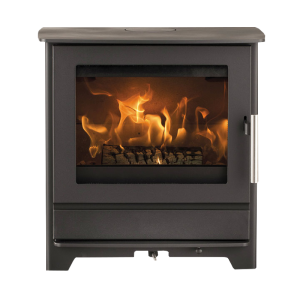 The Loxton is built with quality components, with a 5mm steel body, cast iron grates, door and an insulated chamber. 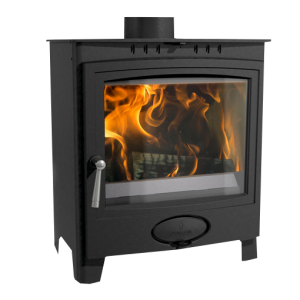 We have built a stove with a pedigree, its construction incorporates many of the latest combustion techniques to ensure that your Loxton stove burns wood and registered smokeless fuels efficiently and cleanly.